We are the team you can turn to for quality results. 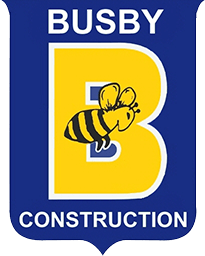 At Busby Construction Co., we provide long-lasting products that are backed by many years of experience in our field of industry. We are fully licensed, insured and professionals of our craft. We've accomplished projects for the Town, City, State, Municipal, and private customers too. There is no job we can't handle with our experienced and dedicated staff. From residential house lots to diverse commercial site work our team of experienced staff and dedicated project managers will complete your project on schedule. Take the weight off your shoulders and leave it to us for all of your water and sewer repairs or installations. We are prepared and equipped to handle the repair and installation of utilities for new or existing structures. Infrastructure is an important part of any project. With the right equipment and capable staff, we can complete these tasks in a safe and organized manner. 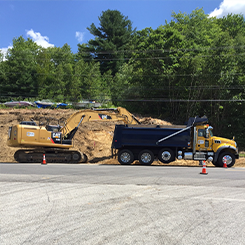 As one of the leaders in the State of New Hampshire, We can complete any size project with minimal impact to your business. 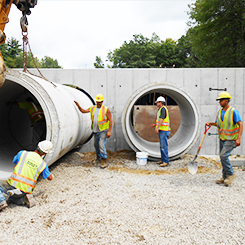 With an extensive background in new construction and rebuilding of roads and highways, our team can consistently achieve quality and safety through the thorough training and experience of our employees. 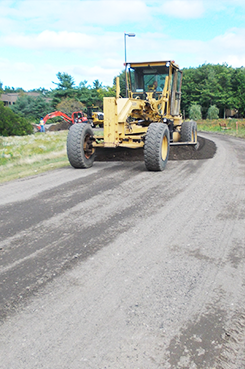 With asphalt, reclamation comes the benefits of a recyclable product that has less of an impact on the environment, and all the advantages of new construction. These advantages are found in the time management, resources needed, and cost-saving practices without sacrificing the quality and commitment to the project. We are prequalified in New Hampshire and Massachusetts and utilize the latest technology benefits of GPS machine control and 3D modeling.